Happy Hanukkah to those celebrating! It’s a good thing this holiday lasts 8 days so you still have time hop on over to MarthaStewart.com for insructions and a printable template for this adorable paper dreidel box. 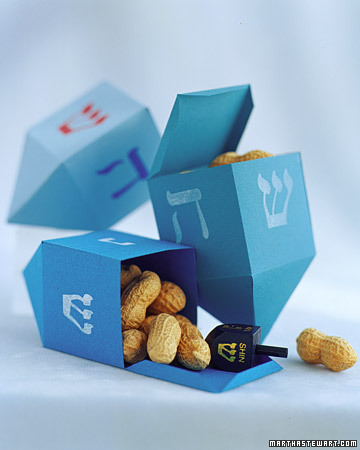 Then fill it up with some fun little goodies to play dreidel with. So sweet!